About 50,000 “Pink Warriors” were not going to be stopped by the heat, humidity or early Saturday morning start time for the annual Susan G. Komen Race for the Cure. The 5K walk/run gets bigger and more enthusiastic every year to raise awareness and money for a cure for breast cancer. Brinker hasn’t let the memory of her sister fade. 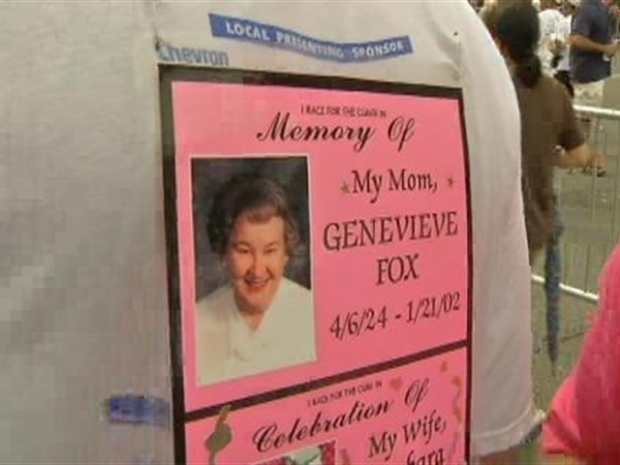 There are 140 such “Races for the Cure” every year around the world. But the event here in Washington is the flagship for all others. Over 50,000 participants in this year's Susan G. Komen Race for the Cure raise millions to aid in the fight against breast cancer. Cancer survivors walked arm and arm with family and friends. 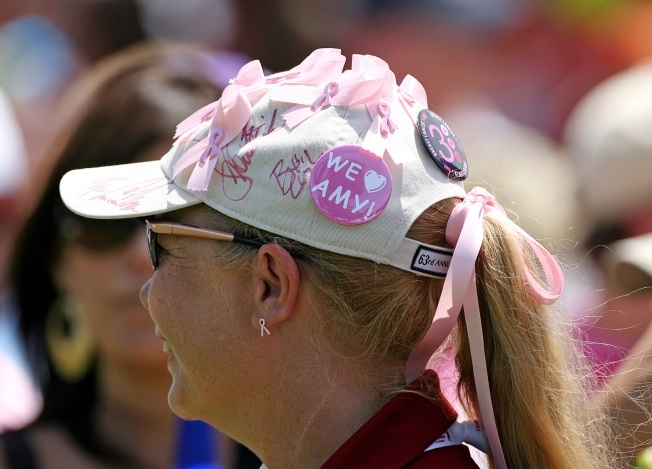 Many teams wore that signature pink we all associate with the cause. A lot of the folks out there lost a family member or close friend to the disease. Groups were united in the march, but matching t-shirts, backpacks or pink ribbons identified those who had come to the event together. And there was music pumping all along the route to keep the walkers peppy. Singer Candy Coburn, whose performs the song “Pink Warrior,” was one of the celebrities walking along with everyone else. This year’s race raised more than $4.5 million to be used for research, treatment, counseling and prevention.